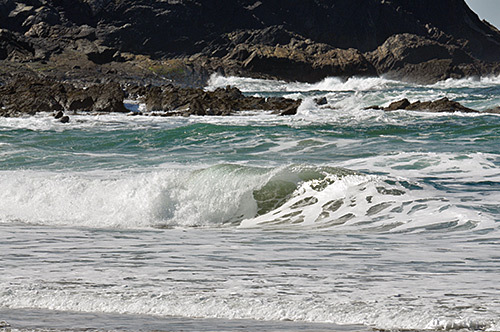 This is a scene from Saligo Bay on the west coast of Islay in April 2014. A wonderful sunny afternoon with beautiful waves rolling in. Actually the afternoon where Andrew (of The Bowmore House) took the picture at the bottom of this entry. Too bad I had a ferry to catch later that afternoon, I could have stayed many hours more.